Ever wonder what to do with those beautiful carrot top greens? EASY! Make homemade soup of course! 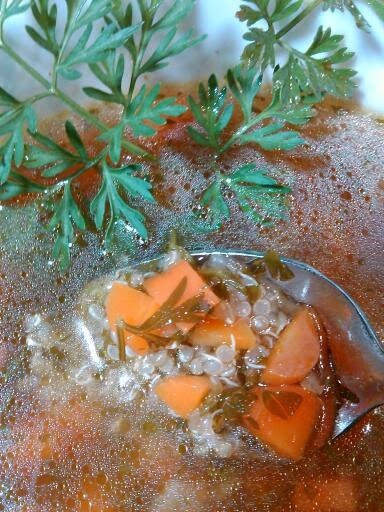 Soup is so forgiving and ever evolving with so many variations.... individualize it to your own taste buds......let's start now. I took my baby carrots 'Danvers 126' ( an heirloom variety) from my garden & this is the first time I've grown carrots, they seemed to have come out a little puiny except for the greens. I used what I had harvested....which was about 10 baby carrots & their greens. 1/2c Sprouted Quinoa - optional. *See note about Sprouted quinoa vs NON-sprouted quinoa. 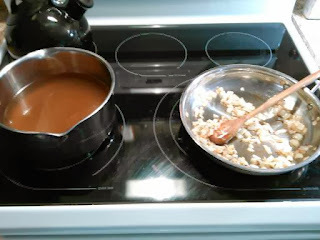 Variations - see add end of recipe. 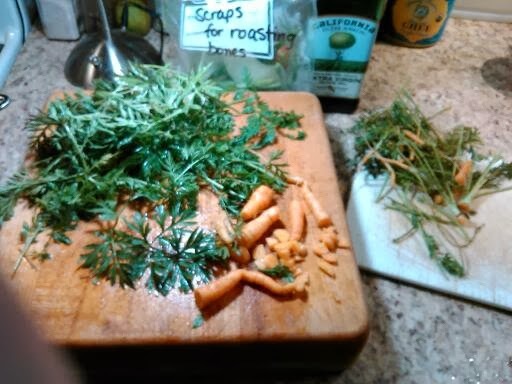 CARROT PREP: I simply rinsed the carrots & greens well under cold water & soaked in a SS bowl with 1/4c vinegar & several cups if water for 10 min. While the carrots are soaking, chop 1/2 yellow onion & browned in a hot pan of 1TBS of olive oil and get the 3qt pot on the stovetop warming up the 4c of homemade chicken stock. 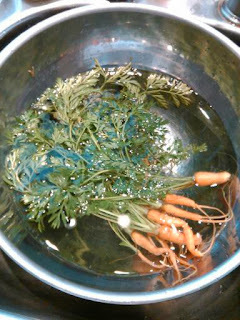 Remove the carrots from the vinegar/water soak and rinse. 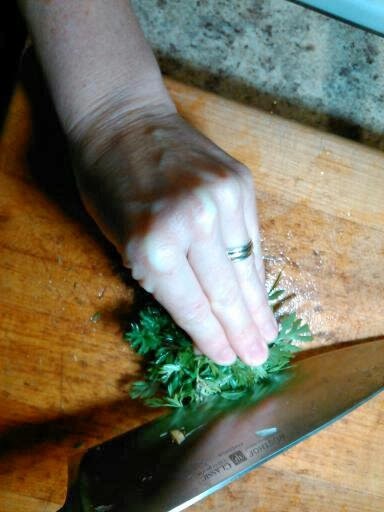 Stem the carrots & finely chop. 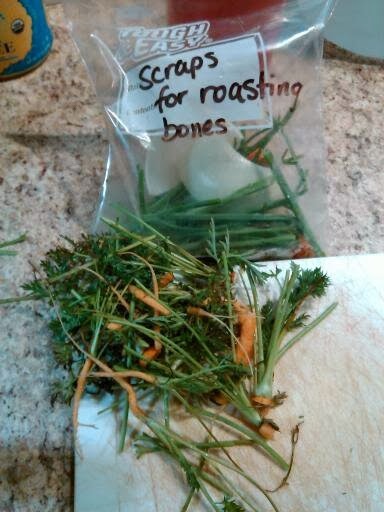 I stem the carrots and place the stems in my freezer scrap bag for other uses like roasting bones or making stocks/broths. 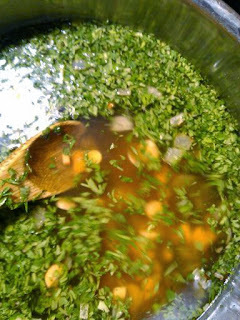 No reason to throw it out, just flavor boost your other dishes with your scraps if you have freezer room, if not it can always go in the compost. The earthworms will appreciate it. Finely chop the carrot greens. 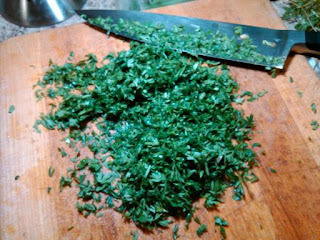 I find it easier to ball up the carrot greens into a tight ball and finely chop. 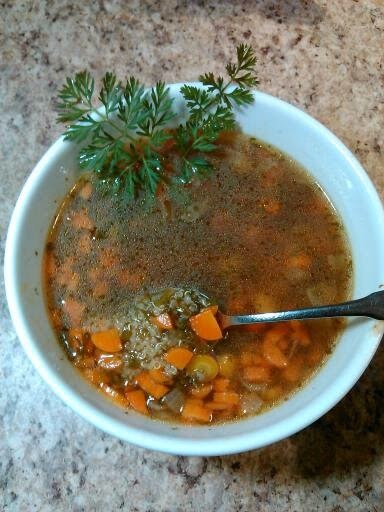 Add browned onions, carrots, carrot greens & sprouted quinoa (if using) to the pot of chicken stock. Serves 2 generously. Sip, Nourish and enjoy! *Sprouted quinoa is more expensive then non-sprouted quinoa. You pay for the convenience & quality. If you use non-sprouted quinoa I recommend doing a thorough rinse in cold water in a strainer being sure to move it around & drain very well until you see that the foam subsides. The reason for such attention to rinsing is to yield a better tasting quinoa by removing the bitter coating of the saponins. 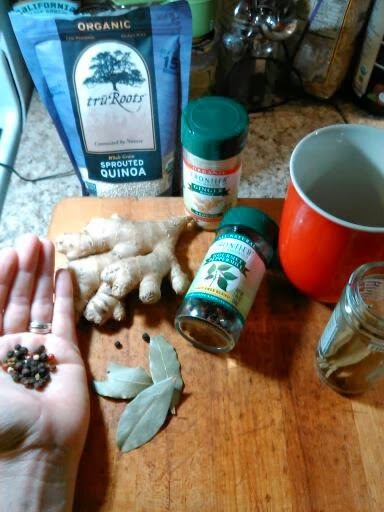 Soak 1/2c quinoa in 1c warm filtered water with 1-2TBS of a neutralizer overnight before using in your soup/dishes (neutralizers: lemon juice, whey or apple cider vinegar). Spice it up! Play with the different elements you have in your kitchen. 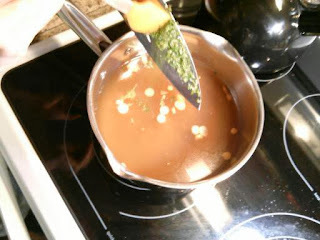 Add a little bit of fresh ginger root/ dried ginger root, or a bit of ginger tea to the stock as you cook it. I added sprouted quinoa. You could also do brown rice and chicken, etc..
What a great idea! I'll try this over the summer. Love the blog name, BTW. You commented on one of my facebook posts and I thought your blog name was so cute I had to come check it out.